Could I Farm the Whole Farm? I recently wondered what it would be like to fully stock and graze the entire state of Illinois. In short, I would have 55 million hooved animals covering 400 square miles each day, followed by 110 million laying hens. We also included plans to plant millions of fruit and nut trees and leave room for people to live their lives and pursue their own interests. Surely some of them would be beekeepers. But let’s scale it back. Let’s put my money where my mouth is. I have cows and chickens. I have walnut trees, oak trees, hickory trees, black locust trees. We are planting apples and cherries and plums and hazels and chestnuts. But we aren’t covering the entire 60 acre farm. To cover the farm I would need 27 cows. Remember, I have to leave an acre per person out of production for roads, buildings, gardens and recreational area so I only have 54 acres available for agricultural activities. I suggested each cow/calf pair needs two acres in Illinois so I need 27 cows. Also 108 ewes and 270 laying hens. Those animals are not here yet. I’m not ready for the marketing, I haven’t built the equity and I don’t have the education required to manage them. I mean, on that scale I would be producing something on the order of 24 calves, 200 lambs and 5000 dozen eggs. Maybe throw in a couple hundred pigs on deep bedding too. That’s just the picture Henderson painted in The Farming Ladder…though he had 100 birds per acre. I’m casting vision I really can’t see. It’s too far out. I mean, it was fun to imagine the numbers involved in managing 37 million acres but I have my hands full managing 60 acres. It’s worse than just peddling all that production. I have to pull white snakeroot where it grows. I have to cut firewood, build fence, keep the tin nailed to the barn roof and participate in family stuff. And we aren’t even dealing with the 70 or so walnut trees that have dropped their walnuts this fall. How many have I picked up? Zero. Aunt Marian’s three apple trees proved more than my match. What would I do if I planted 8 apple trees on every acre? How about 20 on every acre? If I can’t handle the abundance of a mere 60 acres what chance do we stand trying to scale that up to the whole state? What I need is some division of labor. I need somebody who cares about apples to pick and deal with the apples. I need somebody who cares about walnuts and somebody who cares about sawing lumber and somebody who wants to sell product and just leave me alone to watch my livestock graze in the afternoon sun. That would have to happen on a grand scale. That would have to happen on the farm scale. That will have to happen on the family scale. Family scale is where things usually break down on the farm. Kids get tired. Are they valued members of the team or are they slave labor? Are we living out their vision or mine? Whose dreams are coming true here? Who is taking risks and being rewarded? Where is the awesome? It can’t all be about cows and sheep and electric fence and work, work, work. Work stinks. Nobody wants to work. But you know what is fun? Making the cows happy. Harvesting fruit from trees you planted with your own hands. 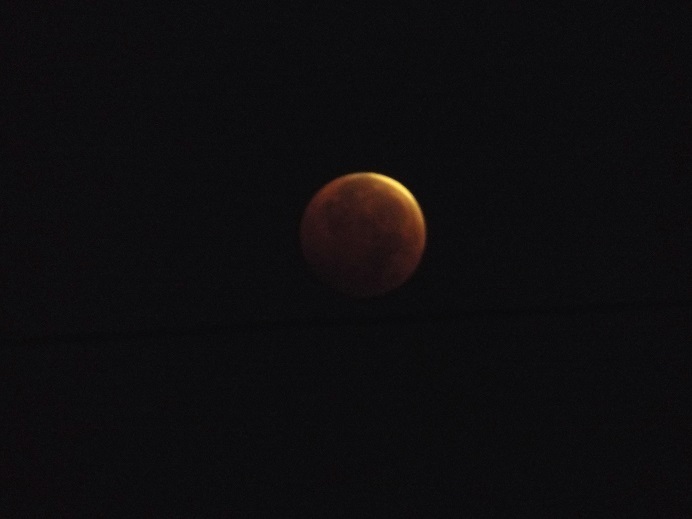 Opening the chicken coups in the morning under a blood moon lunar eclipse. That’s not work. That’s awesome…to me anyway. What do each of my kids think is awesome? 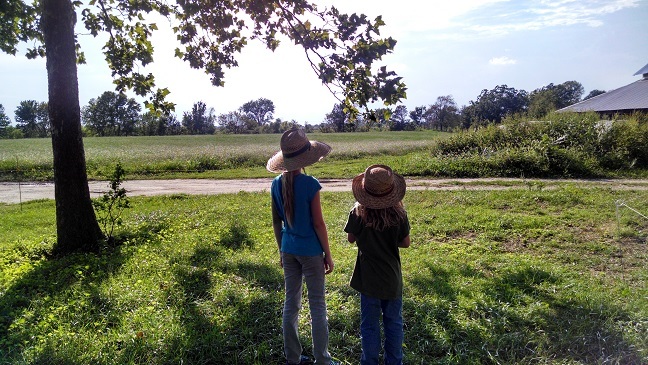 If my kids can learn to experience the awesome on the farm, maybe I can help them buy another 60 acres of their own…set them up with a whole generation of stock from our own farm too. Send them with 13 heifers, 100 ewe lambs, a dozen or so gilts and as many hatching eggs and walnuts and chestnuts and hazels as they want. 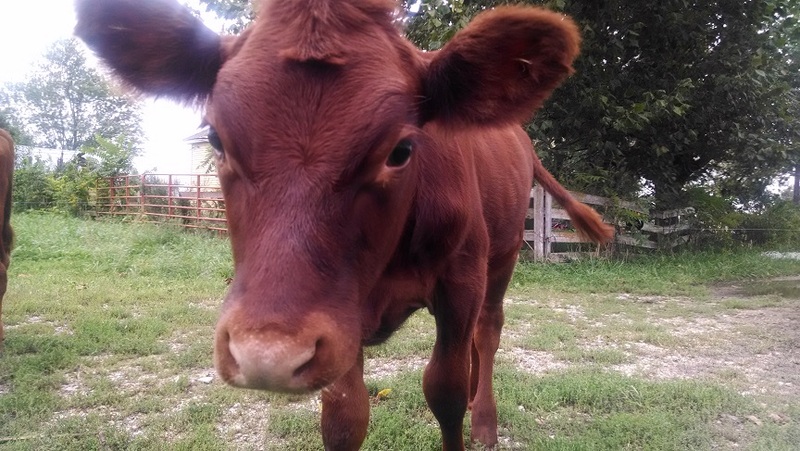 Same with my grandchildren…and thus, through the course of time, we will stock and graze the entire State of Illinois! I don’t have 27 cows, 108 ewes and 270 chickens on 54 acres. I don’t have 200 trees per acre either. It will happen and it will happen soon but it can’t happen yet. I have to bring the awesome to a new generation first. I still have my town job so we can afford not to maximize our production…so we can afford to learn…so we can afford to teach our children to find the awesome. We can farm the whole farm after I teach my children to love it here. I don’t want to farm alone. ← Could I Farm the Whole State? Very good plan, teaching your kids to find the awesome. I’ve had mixed success with it, and looking back can see where I’d change quite a few things I did or didn’t do. They are helpful and proficient around here – I mean, I left 250 chickens in three stages of development and 2 pigs in their capable hands for two days and left the country. They were happy to be entrusted with the whole shebang. But neither of them wants that kind of work for the long term. They want the awesome without the grunt. Eat ethically raised meat? Absolutely. Move broiler shelters every day for 4 weeks? Not so much. Home grown veg? Love it! Dig six rows of potatoes? Later. 21 Years. What’s the Point? I Know. It Happened to Me Too.